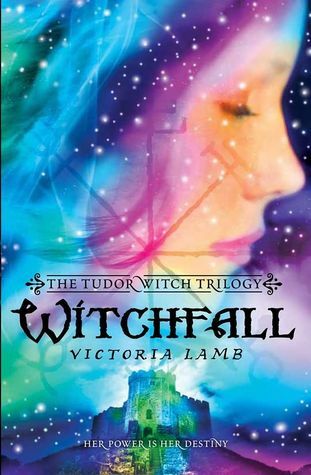 Presenting The Tudor Witch Trilogy #2 Witchfall by Victoria Lamb. In Tudor England, 1555, Meg Lytton has learned how powerful her magick gift can be. But danger surrounds her and her mistress, the outcast Princess Elizabeth. Nowhere is safe in the court of Elizabeth's fanatical sister, Queen Mary. And as the Spanish Inquisition's merciless priests slowly tighten their grip on the court, Meg's very dreams are disturbed by the ever-vengeful witchfinder Marcus Dent. Even as Meg tries to use her powers to find guidance, something evil arises, impervious to Meg's spells and hungry to control England's fate. As Meg desperately tries to keep her secret betrothed, the Spanish priest Alejandro de Castillo, out of harm's way, caution wars with their forbidden desire. And with her most powerful enemy poised to strike, Meg's only chance is a heartbreaking sacrifice. A brilliant and an exotic sequel, Witchfall is a charmingly breathless read. Tudor England with all its royalties and the politics motifs, some thrilling, unpredictable with drama and you get this beauty of book..... And it gets even better than and after Witchstruck ended. If you loved the first book....... the I urge you..... do not give this book a miss..... you will regret it if you do that. Meg and Alejandro...... Oh how I loved them both even more in this book. Meg, the perfect heroine for the tale. She was already a powerful character in book 1 and so happy that that doesn't change this time around at all.Time and time again she proves her worth. There is an ingrained sense of loyalty, fierceness and determination in her to keep her employer safe. And even sacrificing herself to keep her loved ones safe. Alejandro was a sweetheart. His was one character development that I really liked. In Witchfall, he gets the perfect chance to flourish and proved to be quite the hero. He may be duty bound to protect Elizabeth Tudor but above all else and first and foremost, he is loyal to Meg and would do anything to protect her. He is sweet and kind, strong and very clever and almost as determined as his lady love Meg..... and of course he has the looks to pull it off. The romance was not the epicenter of the book but I loved how Meg and Alejandro are sweet on each other and stay true to thyself. Even if their duty compels them in different directions, I loved that they still took time for themselves and did not let it drive a wedge in their love. Their's was a scintillating and enjoyable chemistry, reading about all the scenes alone together. Some excellent new characters were introduced. Out of all of them Richard sure made highlights. And if Lady Elizabeth appeared pretentious in the first book...... well I didn't like how she turned out here. Firing Meg just after she died for her, like discarding a used piece of clothing. I definitely don't like people like that at all. Sporting a much darker plot, with all the twists & turns and unexpected turn of events and the ever present presence of all those secrets. Suffice it to say, an extremely satisfying sequel and very much excited to see what Witchrise offers us. "A scintillating sequel, heart-stopping extravaganza where the Tudors meet the witchy paranormalia"
I really enjoyed book 1, so I'm glad to hear there's more Meg and Alejandro! This is my first time hearing about this series. You have convinced me to give book 1 a try. Thank you for the lovely review.